SSE is a supplier of gas, electricity, broadband and telephone services. All of the services below are provided by SSE, to find out more about any of the services they provide call SSE using the number here. 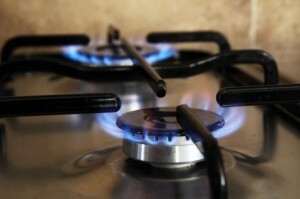 SSE has three tariffs available to customers who want them as their gas supplier. Fix prices until February 2017. Get £50 in High Street vouchers. Receive £40 discount for paying by Direct Debit. Get £6 discount for paperless billing. Also carries an early exit fee of £25. This tariff is cheaper than the Standard electricity tariff. £40 discount for direct debit and £6 discount for paperless billing. Has a variable rate for the electricity you use. All of the above tariffs can be combined to create one tariff, making it simpler for you to pay your utility bills. This is a 12 month contract. £12 monthly line rental- the lowest available. Key prices are guaranteed for the length of the contract. Inclusive local & national calls during evenings and weekends. Inclusive calls to local and national numbers at any time. Inclusive calls to 20 international destinations at any time. Key prices guaranteed for the length of the contract. This tariff is a 12 month long contract. Inclusive calls to local/national numbers and 20 nominated international destinations at any time. 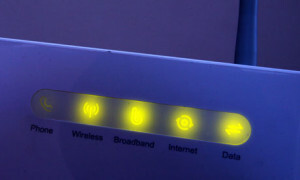 Broadband free for 24 months, then £8 per month. Inclusive local/national calls at weekends. Includes an 18 month subscription to Security Suite. Note: transferring your phone takes up to 23 days and a further seven days for broadband. Free broadband for 24 months, then £8 per month. Inclusive calls at anytime, plus calls to 20 international destinations. 18 month subscription to Security Suite. Half price broadband for 24 months, then £20 per month. Speeds up to 38mbps and unlimited downloads. Half price broadband for 24 months, then £25 per month. Speeds of up to 76mbps and unlimited downloads. Includes local and national calls at weekends. SSE can provide services for your home to provide that extra bit of reassurance. An annual service for your boiler. No call out fees during initial 12 month contract. On demand breakdown service with priority. You can also get cashback for this service. See here. No call out fees during a 12 month contract. Priority and on demand breakdown service. Cover for your boiler and heating controls. Annual service for your boiler. Includes cost of parts, labour and unlimited callouts. Complete cover for your boiler, controls and full central heating system. Cover includes cost of parts, labour and unlimited callouts. Inspection of your fixed wiring when you sign up. An inspection every five years. Includes cost of parts, labour and callouts. This cover is also available for landlords. In order to ensure that you are billed accurately, you may be asked to read your meter from time to time. To read your electricity meter, read the first five numbers, ignoring any numbers in red or any numbers after the decimal point. To read your gas meter, read the first five numbers from left to right. Paying by a monthly Direct Debit is the best way to pay your bill. You can also pay online, using a pay as you go meter, via a standing order, by text or by internet/telephone banking. Check to see if your neighbours have power. Check your fuses and trip switches. Use a qualified electrician if you find a fault. If you suspect you have a gas leak or you can smell gas, turn off your gas supply. Check if the pilot light has gone off. Turn gas off at the mains tap near the meter. Wait outside for an engineer to arrive. Smoke or light a match. Turn any electrical switches on or off. Use doorbells, mobile phones or any other electrical switches which could cause a spark. SSE was formerly known as ‘Scottish and Southern Energy’. The company operates across the UK providing gas and electricity services alongside telephone and broadband. The company was formed in 1998 following a merger between Scottish Hydro-Electric and Southern Electric. 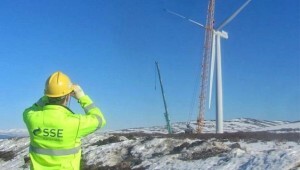 In 2010, the company decided to change its branding from Scottish and Southern Energy to SSE.